[PDF] Historical Dictionary of Mesopotamia (Historical Dictionaries of Ancient Civilizations and Historical Eras) | Free eBooks Download - EBOOKEE! 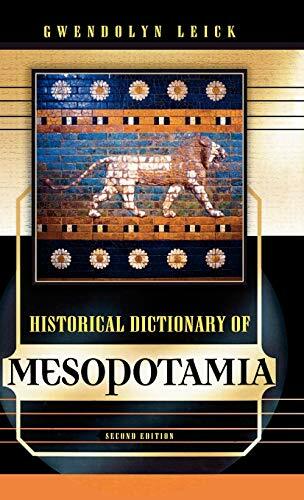 Description: The second edition of the Historical Dictionary of Mesopotamia defines concepts, customs, and notions peculiar to the civilization of ancient Mesopotamia, from adult adoption to ziggurats. This is accomplished through a chronology, an introductory essay, a bibliography, appendixes, and hundreds of cross-reference dictionary entries on religion, economy, society, geography, and important kings and rulers. No comments for "[PDF] Historical Dictionary of Mesopotamia (Historical Dictionaries of Ancient Civilizations and Historical Eras)".